Be Prepared for the Future. Subscribe to RSWA newsletter. Like many, watching the Notre Dame fire raging was both mesmerizing and deeply sad. If nothing else, it feels as if it warrants acknowledgment. Fortunately, no lives were lost. We are also aware that the Mueller report will be released after these Notes are drafted but before they are published. We could be proven wrong but expect that the report will not impact the financial markets in the short term. Current news that comes with heavy emotional overtones almost always overshadows developments that may have great implications for future policy decisions and markets. This week we identify some developments that are likely to continue shaping markets: one potential shift in economic thinking (i.e., whether recessions are inevitable); the importance of 5G in connection with China, and where Maine stands in the rapid rise of the cannabis industry. 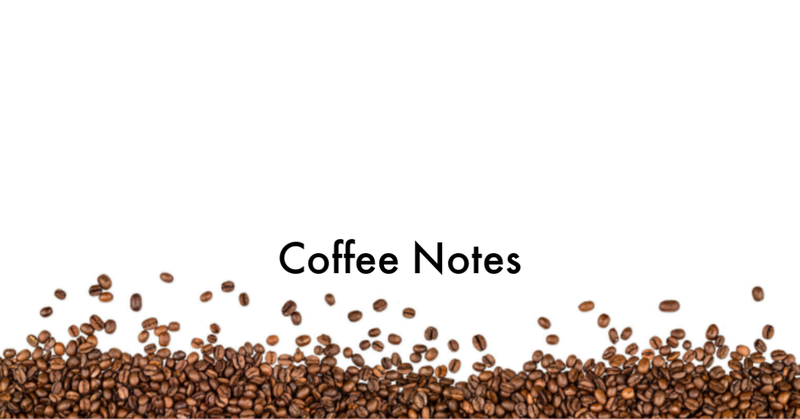 We also offer some lifestyle-oriented notes on various topics that we think you will enjoy. Are Recessions Inevitable? Economic theory teaches that economies go through cycles of growth and contraction and that recessions are natural and unavoidable. But consider that Australia has not experienced a recession in close to 27 years. It has been called the "Australian Economic Miracle". What can we learn from Australia? If you accept, as some do, that either miscalculations by central banks (i.e., the Federal Reserve in the U.S.) or government regulatory failures are the proximate causes of almost all recessions in modern times, then you might still say that recessions are inevitable but only because of the likelihood of policy failures over long periods of time. Banker Jamie Dimon, for one, thinks the US economic expansion "could go on for years". Taxapalooza, Indecisive Yield Curve, and the RSWA NCAA Winner! Enjoy this week's The Friday Buzz, and get those tax returns in! Tax Day this year is this Monday, April 15th: If you haven't filed your Federal taxes you have until Monday to do so. Both Massachusetts and Maine residents have until April 17th to file income tax returns due to state holidays. Check this article out for last minute filing tips. If you are filing paper returns and running out of time, be sure to know what Post Offices are open late. It’s official. At ten years, the US. stock bull market is the longest in our history. Does a slowing economy present a credible threat to stock investors? Both Washington and Wall Street have eyes on the Fed, which will have a major say. We get into all this and more and appreciate your interest. Feel free to forward to anyone who might be interested. Slowing U.S. Economy: Economists generally expect the U.S. economy to grow around 2 percent in 2019. Ruchir Sharma, the Morgan Stanley chief global strategist, makes a compelling case for why this growth rate is both sufficient and not that far off long term growth rates. Charles Evans, the Chicago Fed President, says the chances of a recession are low. It has been a HUGE week in terms of big news events. The Mueller investigation concluded, the yield curve inverted, and the Brexit deadline is today – yikes! 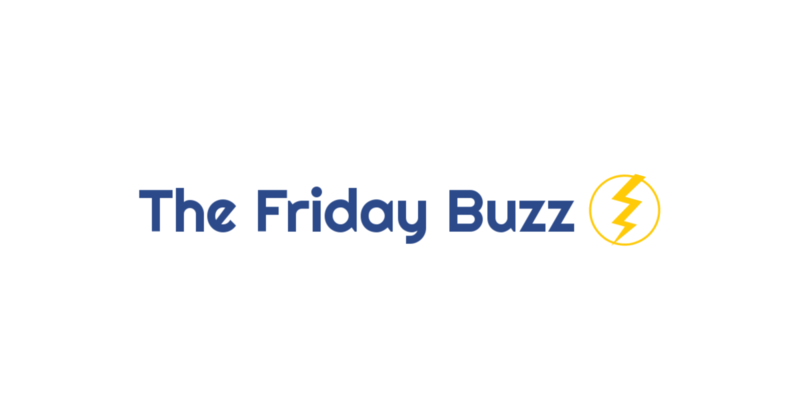 You'll find articles on those weighty topics along with some interesting and fun articles to balance out the reading in this week's The Friday Buzz. As always, thank you for reading, and please share! The Fed chose to leave short term rates unchanged at the FOMC meeting this week, announcing that it did not foresee more rate hikes this year. The decision and announcement reinforce that the Fed is increasingly wary of current risks and is signaling that it will keep its foot off the interest rate brake indefinitely. Apart from the Fed and the economy, we encourage you to check out some interesting planning notes (e.g. 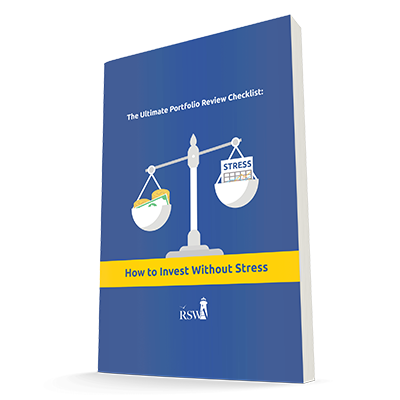 Roth IRAs and retirement) and lifestyle notes relating to health and happiness as it relates to location. Why the Fed Turned Dovish: Nouriel Roubini, the widely followed NYU economics professor, offers his insights into why the Fed has abandoned, at least temporarily, its plan to hike short term rates higher. A Patient Fed, an ECB About-Face, and RSWA March Madness! Economic news this week was broad coming from the Fed Chair, the European Central Bank, plus an array of economic data. Brexit is also coming to a critical point and could be disruptive to businesses globally. And March Madness is about to start, and for those who are interested, we have an invite to participate in the RSWA bracket pool. Thank you for reading The Friday Buzz. Please share with anyone who may have interest. Enjoy March Madness and the articles! The Fed Chairman Interview: Jerome Powell, the Federal Reserve Chairman, was interviewed on 60 Minutes Sunday. He said the Fed would be data-driven and patient with future rate hikes. He also said the law was clear that he couldn't be fired, and he intended to serve his full four-year-term. Though he was a little slow reacting to last fall's changing economic dynamics, overall, he seems to be a reasonable and capable Fed Chairman. While trade negotiations with China hog the headlines, there is more to explore, including an emerging national debate over the significance of the U.S. deficit. We also encourage our readers to plan any charitable giving earlier in the year in order to maximize potential tax benefits. China Trade Deal Close? Numerous sources report that a trade agreement with China is close to done. The agreement will reduce tariffs imposed by both countries, enabling the U.S. to export more goods to China. Whether it will ultimately lead to meaningful structural reform on China’s part will take time to evaluate. The New York Times and Goldman Sachs provide detailed assessments. Meanwhile, the U.S. trade deficit has dramatically increased, and data mounts that the trade wars are hurting the U.S. economy. Buffett Struggles to Beat the Market, Cohen's Testimony, and Local Foodies Rejoice! We start this week with the Oracle of Omaha, Warren Buffett, who released his annual letter to shareholders. I like listening to Mr. Buffett's interviews displaying his folksy charm, sage advice, and humbled persona. From there we move on to Michael Cohen's testimony, trade talks, earnings, Vladimir Putin, as well as how hot your town may get in 60 years. Thank you for reading The Friday Buzz. Please share with anyone who may have interest. Happy March and enjoy the articles! Warren Buffett Struggling to Beat the Market Returns: In an interview this week, Warren Buffett admitted that Berkshire's stock pickers were lagging the stock market returns. If Warren Buffett and his handpicked stock investors cannot beat the market, is there hope for anyone else? He also released his annual letter to Berkshire Hathaway investors and spoke of the great "American Tailwind." I always enjoy reading the highlights of his annual letter. With both stocks and bonds doing well for now and the China trade negotiations seemingly making progress, we will begin with several non-investment or economic notes and then circle back to the markets and economy toward the end. Tax refunds are a hot topic for starters. Taxpayers Surprised: The initial returns (pun intended) are in on the new tax law changes, and many taxpayers have been unpleasantly surprised with the average tax refund down 8.4%. What some of these taxpayers may have overlooked is that they may have already benefited from lower withholding throughout 2018. What a difference two months makes. February has continued January's uptrend in the stock markets. As bad as things looked and felt in November and December, this year has felt the opposite. Markets tend to have momentum, either positive or negative. Once a trend is established, a catalyst is required to reverse the trend. The Federal Reserve's comments in Q4 helped fuel the negative sentiment which sent the markets in a tailspin, and their bullish comments in January created the current momentum we are enjoying. Let's hope it continues. Please share The Friday Buzz with anyone who may have interest. Thank you for your time and enjoy the articles! The Markets are Off and Running – For Now: As the markets turned lower late last year, the momentum was amplified by analysts and traders who watch technical signals. Last quarter, many major technical measures were flashing sell signals. Well many of those same technical readings have recently turned to buy signals. Though nothing is ever certain, it is a good sign for markets in the near-term. 2 Monument Square, Suite 501, Portland, ME 04101. 1 Harbour Place, Suite 12. Portsmouth, NH 03801. Robinson Smith Wealth Advisors, LLC. An SEC Registered Investment Advisory Firm. Website by Lean Labs.